Well once again we had a fantastic festival, but, then again, you would expect us to say that wouldn’t you. But really, we did! 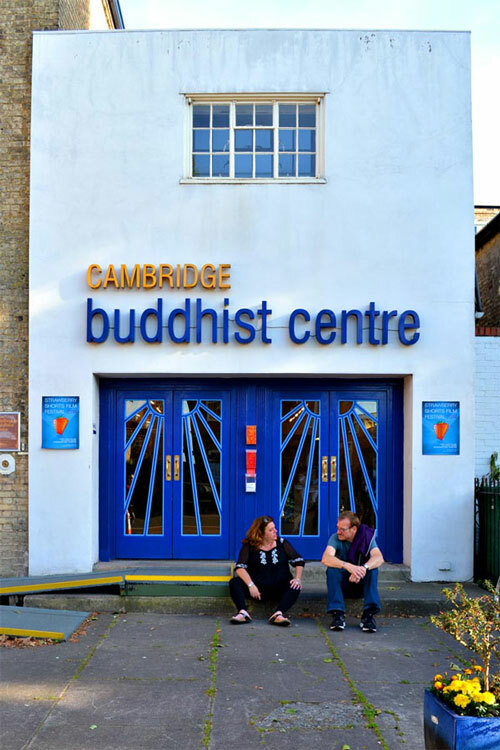 The event itself was a joy made really special by being held in the wonderful setting of the Festival Theatre, it celebrating its 200th anniversary this year, (thanks Cambridge Buddhist Centre). The superb programme we were able to present only made possible by the quality of the hundreds of entries we received this year. However, there was a lot more success to this years festival that is unseen but stretches far beyond the day itself. 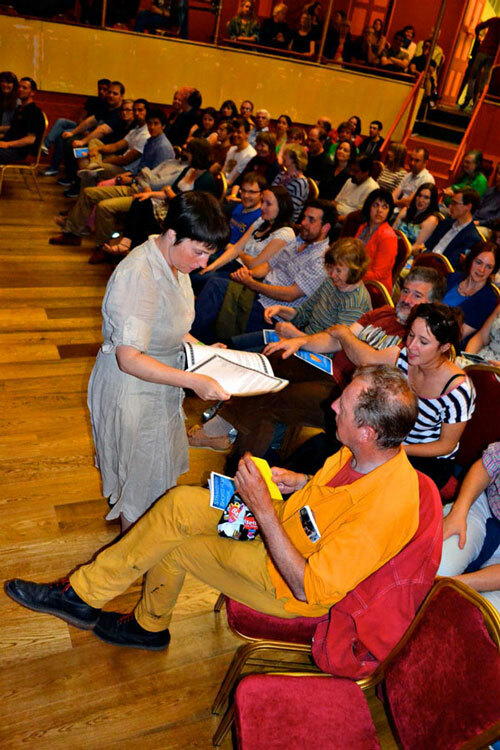 For instance; we finally cracked the audience voting procedure, making the whole thing short sharp and immediate. The whole audience was involved, interacting with the crew, each other and the judges and after a short and pleasurable 30 minutes going away with the results. Satisfaction guaranteed because even if your favourite did not win at least you had been able to do your bit, on occasion having full and frank discussion with the rest of the audience on the merits (or not) of choices being made. 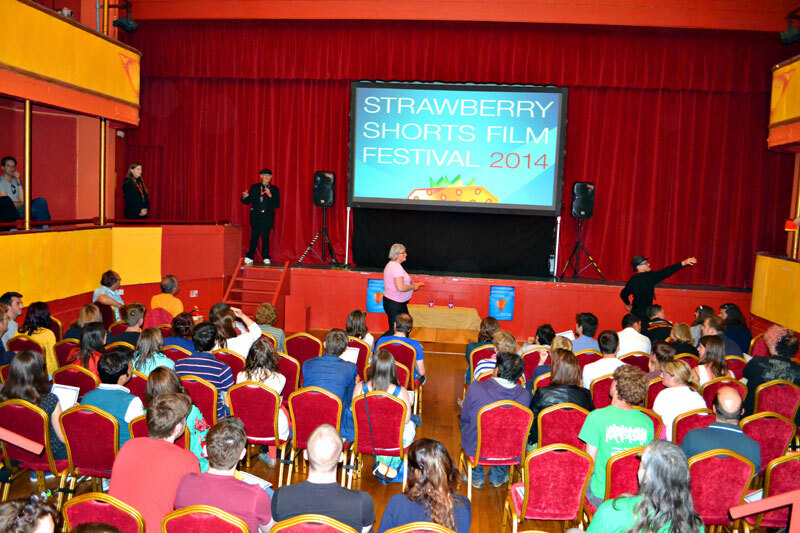 And lastly, it has always distressed us that because of limited time, programming considerations and facilities we have had to put aside the majority of the films submitted to Strawberry Shorts. 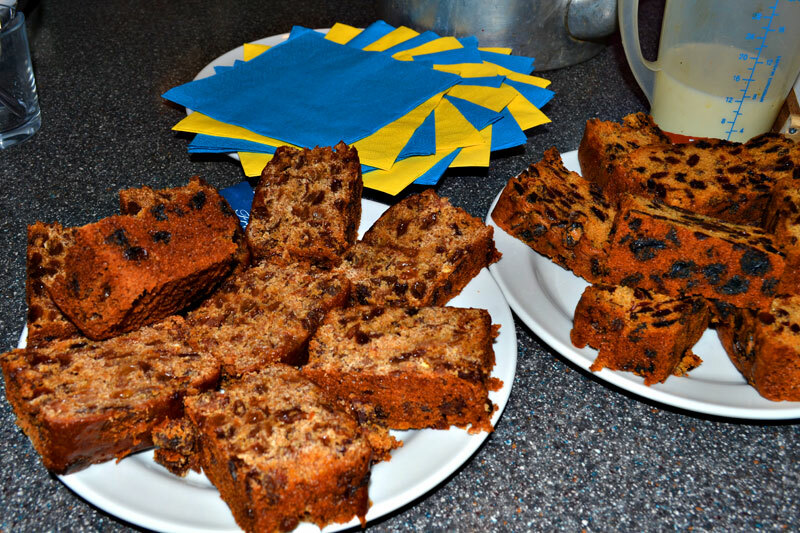 But at last we have come up with a scheme to partly assuage our guilt. 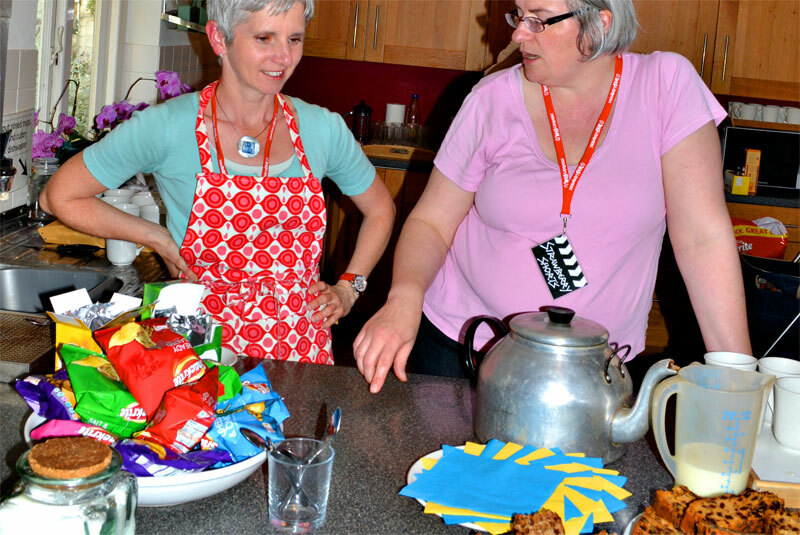 We have created a list of films that receive commendation and published it in our programme and on our web site below. 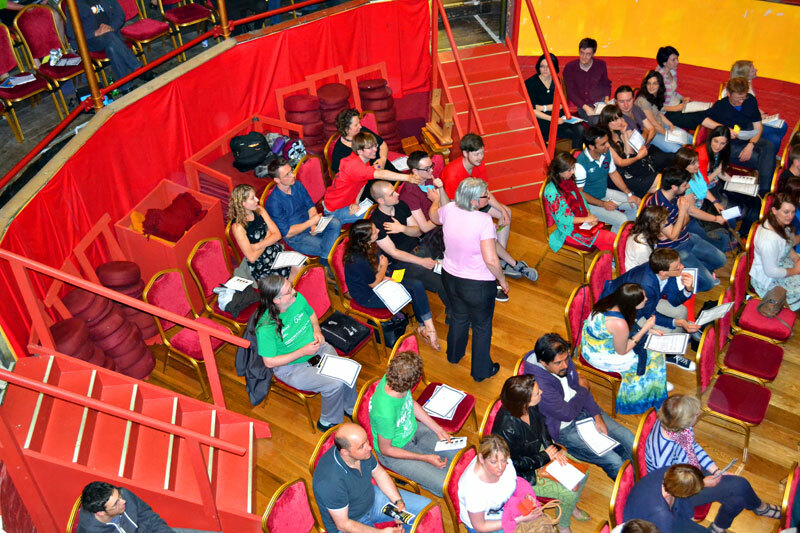 To take it further we have designed and organised a series of events to screen them all. 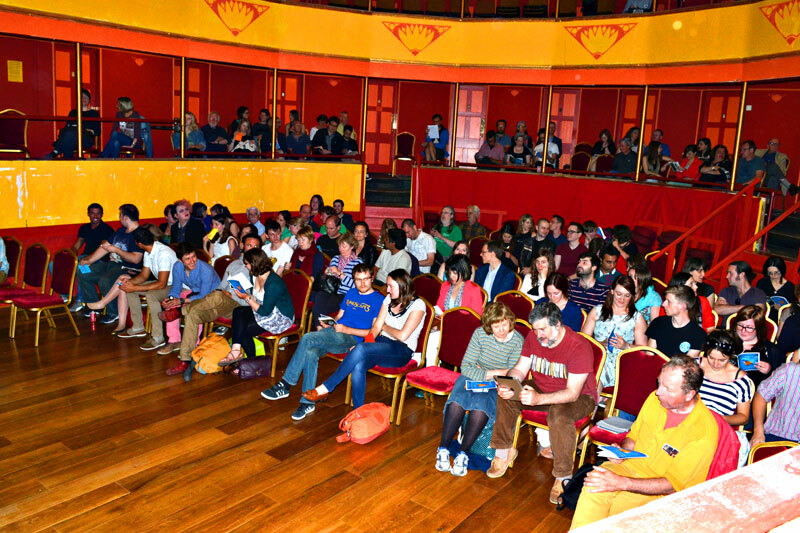 These will be held in the Arts Picturehouse bar and will be dedicated entirely to those commended. 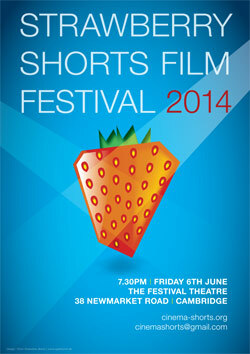 These events will be run under the banner of Cambridge Cinema Shorts. (Follow link for full details). Once again thanks to everyone involved. 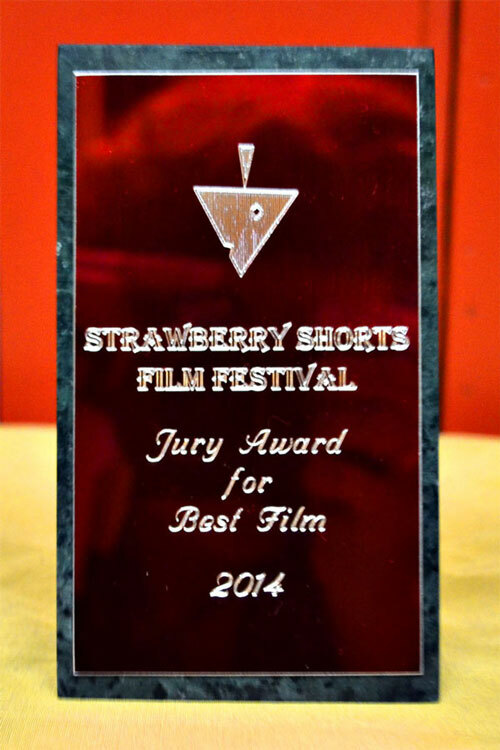 Each and every one of you help make Strawberry Shorts Film Festival the the success it is. All photos © Kay Goodridge. 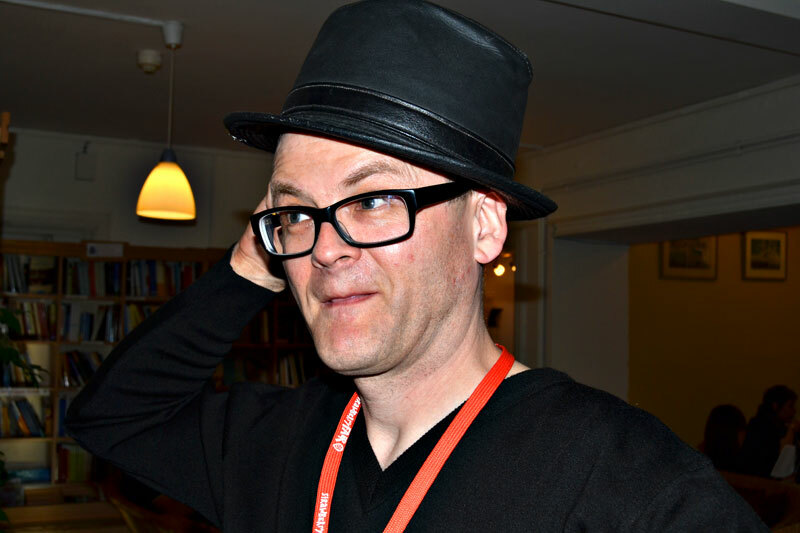 The winner of the 2014 Audience Award was Record. The winner of the 2014 Jury Award was Tabatô. Follow this link to view previous La fraise d’Or Awards. 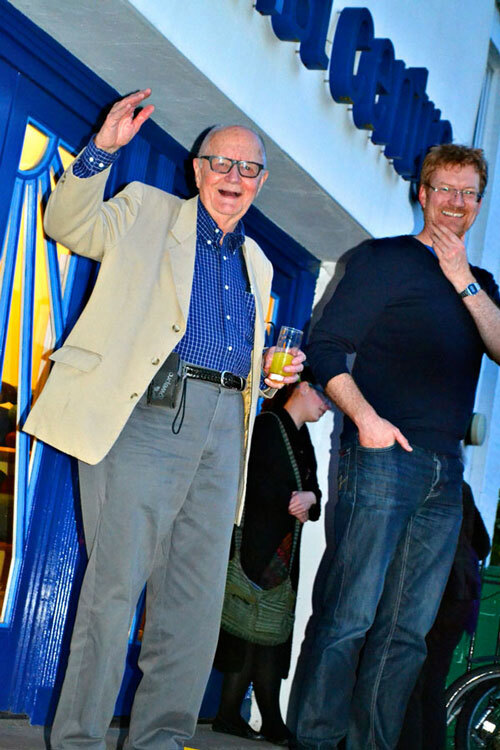 Jack Toye commended the film Hunting for Hockney. Jack Toye said . 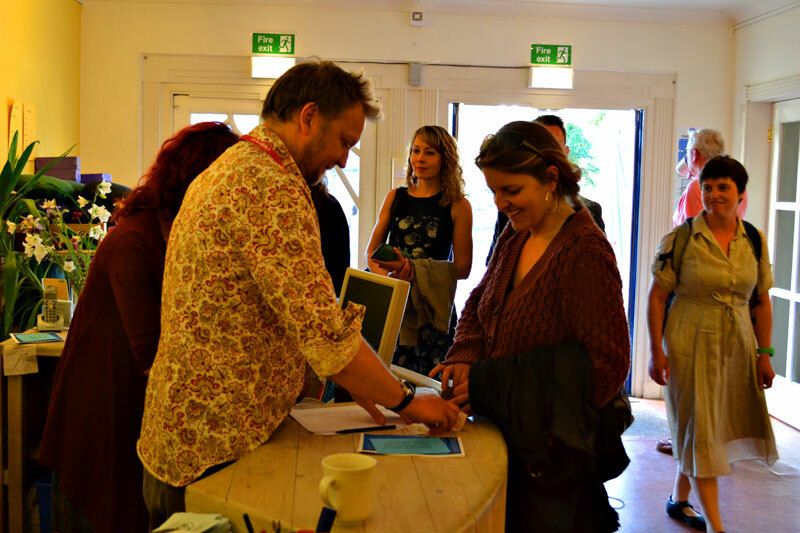 . .
Sarah McIntosh commended two films, Cólera and Born to be Mild. Sarah McIntosh said about Cólera . . .
Sarah McIntosh said about Born to be Mild . . . ‘It was extremely well constructed, it had a wonderful sense of humour to it but in a very kind way. I watch a lot of documentaries as part of doing submissions [for the Cambridge Film Festival] and it very hard when you have talking head documentaries to keep it interesting. I thought it was a very dynamic piece and they were able to have the guys talking, they were interesting but there were also some great cut away shots to other things as well. Tom Woodcock said . . .
‘I loved all three of those films [above] as well. Its usually one of those thing watching short film, very much about taste isn’t it and its quite difficult to pull something out. I usually look for something thats a bit different, something that challenges me and usually something that does something quite simple often with what its got. 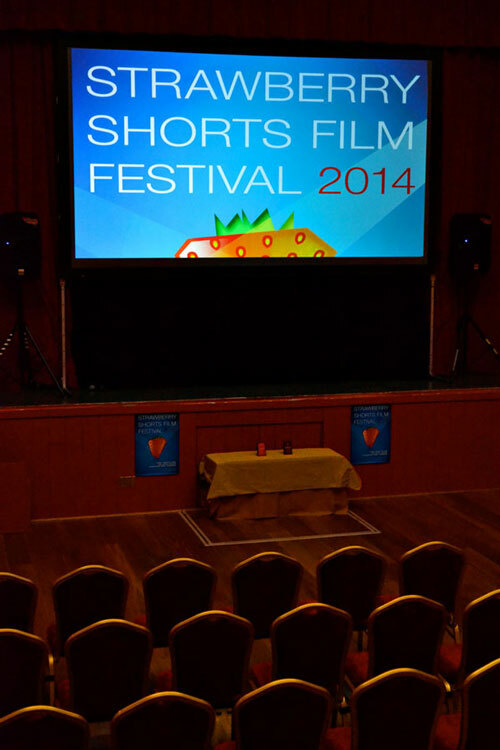 Working with short films is often a challenge because you’ve not got a great amount of money to work with. I thought I was going for a film that was a personal film for me, but everybody here chose it as well. Its easy for me, I went for Record, because the characters developed slowly and gave me time to enjoy them, but in a very short amount of time and that quite odd in a short film. I got to know an awful lot about four people in a very short amount of time and it used all of the things a short film does very effectively. So for me that was something I thought was great! 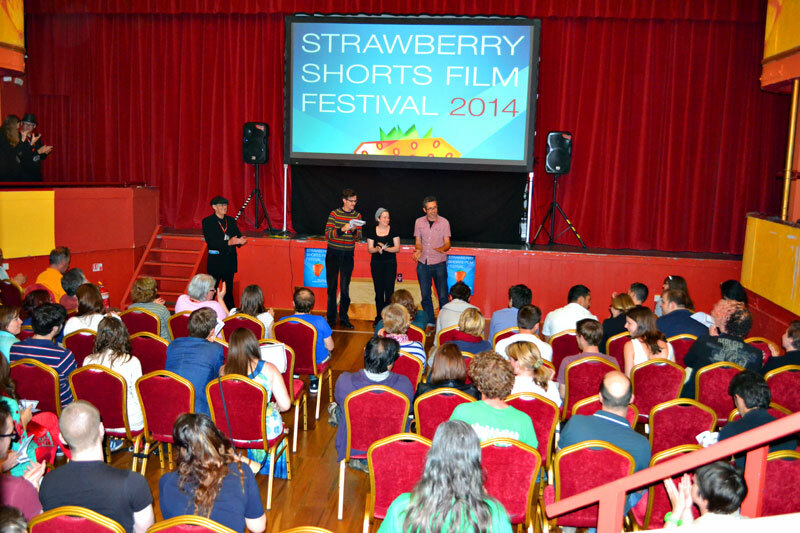 Please find below a list of entries to the 2014 Strawberry Shorts Film Festival that receive a commendation from the 2014 viewing panel. 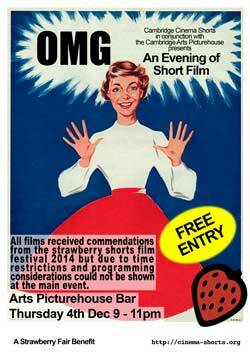 For details of free commendation screenings, please follow this link. 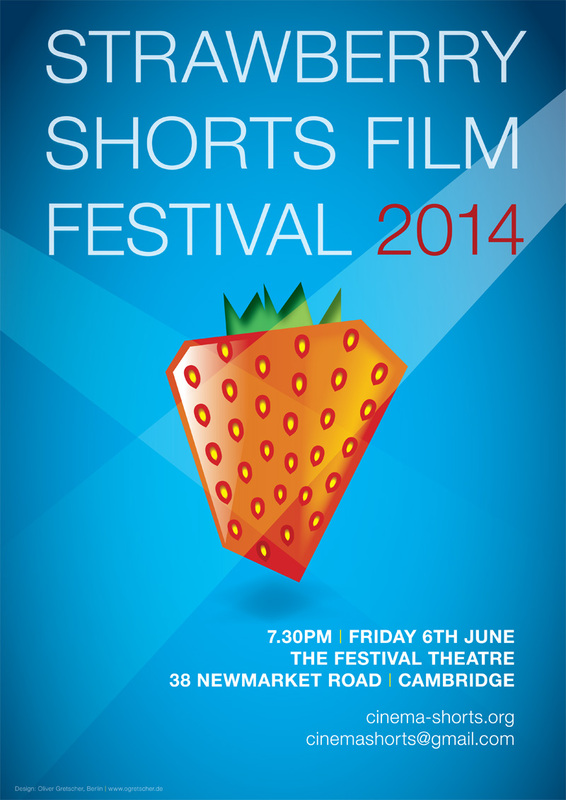 The Strawberry Shorts Film Festival 2014 Commendation List. 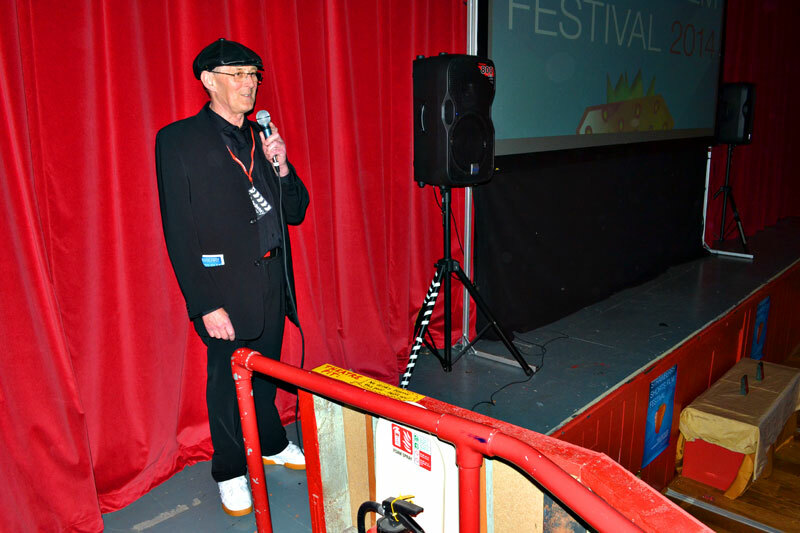 The Strawberry Shorts Film Festival took place on the evening of Friday 6 June in The Cambridge Festival Theatre located at 38 Newmarket Road, Cambridge, CB5 8DT. The Doors opened at 19:00. There was an intermission followed by the second programme at 21:45.